If I talk about something that people are more interested than anything else than it is the Giveaway. Festival season is on and people are participating in various giveaways to win various things such as gadgets, money, property, cars etc. Do you want to win a car for free? No one can say no. The car is not just a need but also known as the status symbol. No matter you are a child, a young person or an old person, cars are the most attractive part of people of any age group. Keeping that in mind, eAskme launching the biggest Giveaway in the history of blogging. This is the only giveaway that can help you win a stylish sedan car. Winner Annaounced: Hema kashyap winner of Biggest Giveaway of 2018 Tata Tigor XZ(O) worth $10,000. Now you may want to know more about the Tata Tigor and this giveaway. First, let me tell you about the car. Tata Motors is a well known auto company. It sells cars, trucks and other vehicles worldwide. 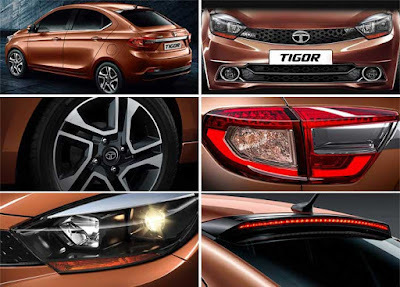 Tata Motors has launched Tata Tigor is the 1st StyleBack with revolutionary and stunning design. 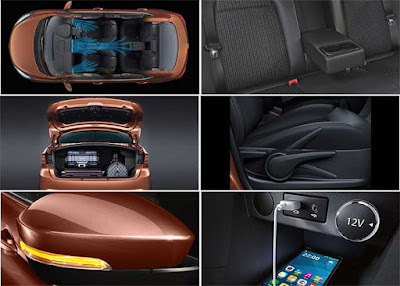 Now just these features but I am giving you a big reason to own this car and that is, I am giving you it absolutely free. It is really easy to participate in this contest. All you need is to follow 5 easy steps. Subscribe Free eAskme newsletter : Click Here. Once subscribe you will recieve and email to verify your subscription. Click on the verification link and you are in. 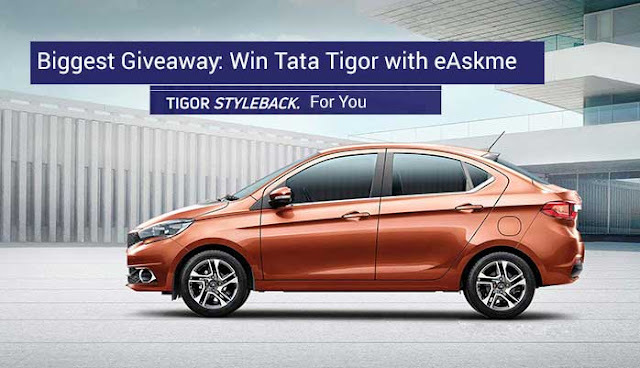 The more you engage or spend time on eAskme.com, the more chances you have to win Tata Tigor car. So you see, these are the 5 easy steps that will help you to win a sedan car and save $10,000. What can be more attractive than winning a car. Remember: The more time you spend on eAskme, the more chances you have to win Tata Tigor.